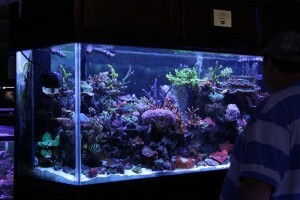 You are at:Home»Aquarium Equipment»Aquarium Service Companies, Bad for the Hobby? Aquarium Service Companies, Bad for the Hobby? Most aquarium service companies are, in my opinion, a disgrace to the aquarium hobby. Why do I take this harsh stance? While working in local fish stores, I had the unfortunate experience of having to deal with several service companies first hand. And in virtually all experiences, the impression that I got was a negative one. Most of these service companies are run right out of the back of a pickup truck or a garage, and that’s where the brunt of my criticism is directed. There are a few actual companies that are tied to fish stores that do servicing, but in general, the servicing comes from individuals. Actual companies (with storefronts) that offer aquarium maintenance are a much better choice, as they probably carry some form of insurance and have some sort of screening process or training prior to hiring. Another thing I have noticed is that most of the service people don’t know their way around an aquarium setup. They don’t focus on establishing a well-balanced system or educating the person actually housing the aquarium. Instead, they force livestock and equipment onto unsuspecting aquarium owners and often overlook, or even create, problems to keep themselves in business. Most maintenance personnel even recommend bad maintenance methods. 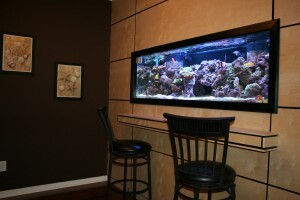 For example, the average aquarium requires at least two water changes a month. It’s sort of a generalization, but doing multiple water changes will drastically improve water quality. A majority of “professionally” maintained aquariums only get a water change once a month or less. The maintenance guy will recommend this for people on a budget or those not willing to spend for extra care. 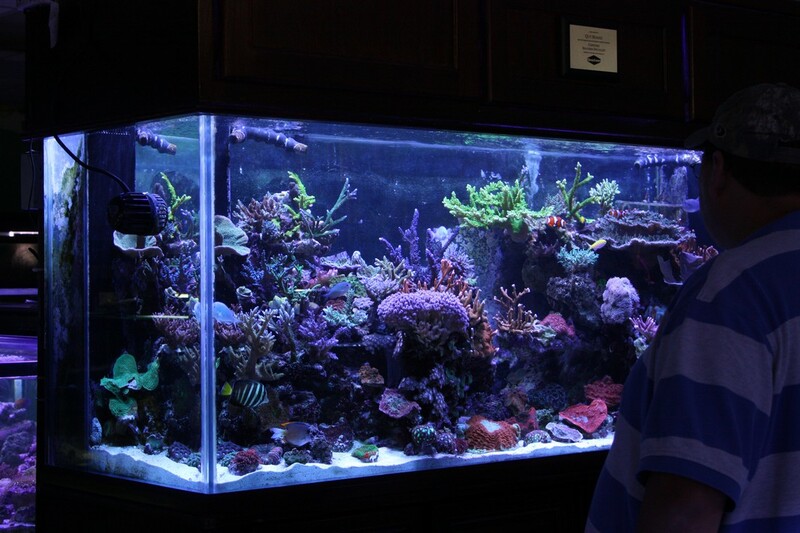 Ideally, the individual maintaining the aquarium should be worried more about the well being of the fish and explain to the customer how things work best. In addition to suggesting livestock and equipment that is either unnecessary or even bad for the setup and care of the animals, most service companies and maintenance individuals severely rip off their customers. They find livestock ad equipment at local fish stores, purchase it, and turn around and sell it to their customer for a huge markup. This is another thing I saw first hand and it really got under my skin. I personally feel it’s better to have a hands-on approach to your aquarium. Anyone with a little patience can do it. Just research the livestock, assemble the proper equipment, and maintain the system. Doing this yourself will give you personal gratification will save you loads of money in the long run. But if you do want to go the “professional maintenance” route, I highly suggest you ask for references and do some research yourself. Double check prices online, ask local aquarium keepers about aquariums, and try to be involved when the maintenance individual comes to your home and tinkers with your aquarium. While I agree that aquarium owners are best served being actively involved with the maintenance of their aquariums, I think the point of having a service do it is so they don't have to. And just because someone works out of the back of their truck does not mean they do not know what they are doing. I can say that in the last 20 years that I have been in the saltwater hobby, I would say that 80% of the "fish stores" I have visited are full of bad or out dated information. So in my opinion, i do not think that aquarium service companies are bad for the hobby. One just has to be selective in choosing the right company, much like any other service one would choose. i completely agree art, and i guess i did sort of paint everyone with the same brush. the point i was trying to reflect though was that in my numerous experiences with dealing with aquarium maintenance companies run out of the back of a truck/garage, i found nothing but sleazy people with no real working knowledge of aquariums. Funny I have seen a lot of what you describe at the LFS around here. The guys I know that do servicing are much better then most of the local stores. i may not have worded it properly in the article, but i wasn’t trying to promote fish stores. i was just saying that some of the larger companies are insured and have a physical location. if something goes wrong it’s easy to find them. if the maintenance guy works out of his truck, it will be much harder to track him down. i know of a lot of local fish stores that are terrible. but the big aquarium maintenance companies here in houston seem to be ok. in fact, the two largest are big supporters of my local reef club and have excellent staff. however, while working at some local stores i noticed a lot of really bad service people. we talked to them regarding how they practice their profession and everyone at the store was horrified, so much so that we stopped selling to them. i guess you are an aquarium service company by the strong stance you are taking. well, i guess i'll respond as best I can. yes, i think most aquarium service companies are bad for the hobby. from my experience (i never used one but i did work for a fish store who did service calls and i have heard horror stories from various customers who had used other local aquarium service companies) they are quite expensive, don't do a very good job, take advantage of unknowing customers, and cut corners. this isn't just my personal opinion, but the experience i have had with these sorts of companies. perhaps this area just has a but of scam artists and maybe service companies in other parts of the country are much better. i don't know. but my experience leads me to doubt the skill and sincerity of most aquarium service companies. Both sides of the argument are generalizations. Depends on the market and demographics. How good are the local stores? Is the local hobbyist club full of newbies looking for cheap frags, or a mix of those spending whatever is needed (along with educated husbandry) along with the cheapsters looking for handouts? Insurance is not that big a deal regarding cost. Its a necessity, but there are those that have it that see rate increases on a regular basis due to faulty work, poorly engineered systems, etc. The problem i see is that the hobby consistently puts morons to work in the southeast market who are scammers thinking they can make it rich quick just because they have kept a few tanks on their own for a few years. The get rich quick thing is funny to see thats for sure…most close within the first two years after they have emptied their piggy banks or the investor flees. I think the bulk of what your seeing are service people that are just doing it the wrong way, some with good intentions and some just wanting to make a quick buck. If they are buying from a retail store instead of wholesale they are clueless, but not having a storefront does'nt make a bad aquarist, just like not having a paint store does'nt make you a bad painter. In fact most retail stores have teenage kids giving advice with their 3 years of experience in the hobby with one tank! I have worked in both and after 10 years running my own one man service business I still have most of my clients from my start up here in the southeast and most of the stores that offer(ed) service have stopped or the service people they had left to start their own companies or do something else. Just like most things there's bad on both sides. Most maintenance professionals in my area, including myself, are very very good. You don't stay in business too long if you sell people garbage.